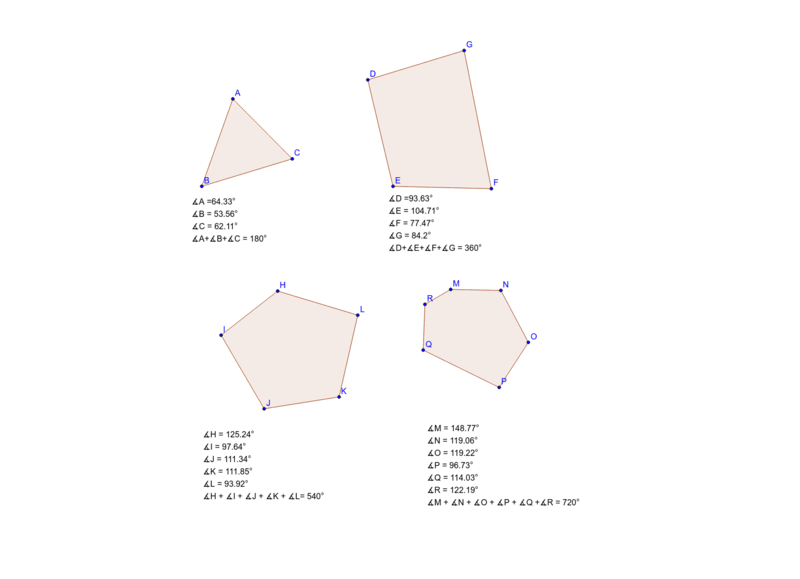 Sum of interior angles of polygons Students should drag angles of each polygon to examine any changes that take place. The goal for each student is to be able to make a conjecture about finding the total of all the angles of any size polygon. Each measure of interior angles are given above. What do you realize about the sums of interior angles? Can you find a pattern?